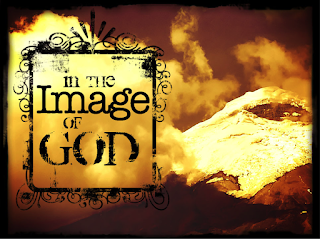 Our Explore the Bible study this week explores the unique relationship God has with us and the purpose He has given us because we were made in His image. I have tweaked the TARGET of the study to reflect this focus: Being made in God’s image means we have purpose and relationship with God. I have also provided multiple discussion questions and options that focus on this TARGET, and that aren't a part of the original teaching plan. Work reflects His image because He is always at work. Watching over the earth reflects His image because He watches over us. Marriage reflects His image because He is relational. The relationship we had with God also had parameters of do's and don'ts. There was only one "don't" at this time - Don't eat of the tree of the knowledge of good and evil (Genesis 2:16-17). Even these parameters communicate the fact that, while we reflect the image of God, we aren't God! I have included the link to John Pipers sermon. This is a lengthy sermon with the first 5-10 minutes focusing on the explanation of "image" that I feel is very appropriate for our study. Check out the video and consider how you might use it in your study -- CLICK TO VIEW VIDEO. We were created in the image of God so that we might bring glory to God! We are to reflect His image to the world around us by the way we work, live, take care of our world, and relate to others and to Him! This is the message of our study.